Huntsville, AL……Wilber E. “Bill” Mason was born in McFall, Gentry Co., Missouri, to Lester and Stella Mason. He was preceded in death by his parents along with five brothers: Garvin, Garland, Vyrl, Lynn, and James; and four sisters: Leila, Lucille, Doris and Mildred. Mr. Mason moved with his family in 1933 to Maysville, DeKalb Co., Missouri where he attended and graduated from Hensel Elementary School. (A one room school with all eight grades in the same room.) 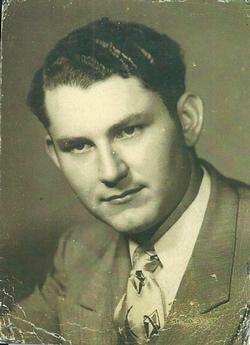 He also attended and graduated from Maysville High School in 1945. Afterwards, Mr. Mason went to work for Swift Packing Co. and attended St. Joseph Jr. College for more than a year. He opened his own insurance agency and continued there to 1952 when he enlisted in the US Air Force. Mr. Mason was stationed in several states going to school and finally stationed in Alaska training new enlistees in Security Service Operations. Mr. Mason was a member and very active at Gilbert Memorial Baptist Church in Mt. Clemons, Michigan. After going to Alaska, he came back to Mt. Clemons and continued active in the church there. He was hired by Chrysler Corp. as an Engineering Assistant and after training, he was transferred to Chrysler in Huntsville as a Technical Writer. Mr. Mason was sent to Atlanta to work on the manuals for the C-5A plane for nearly a year. After coming back to Huntsville, he became a member of University Baptist Church were he was active. Mr. Mason was given the choice of going back to Detroit with Chrysler or taking a lay-off. He chose a lay-off and soon became a secretary and manager of the Fraternal Order of Eagles #3263 in Huntsville where he stayed until retiring after 20 years. Mr. Mason also continued his education for nearly two years at the University of Alabama in Huntsville. Mr. Mason is survived by one son: Gregory Mason; two grandsons: William Clark and Justin Mason; three granddaughters: Jessica Clark, Lachelle Lysaght, and Kristin Nunes (Brandon); three great-granddaughters: Ilanea, Talia, and Layla; and companion and friend: Peggy Clark. Graveside services will be 2:00 p.m. Saturday, May 14, 2016 at Fairview Cemetery, McFall, MO under the direction of Turner Family Funeral Home of Maysville. The family requests no flowers and donations may be made to Amedisys Hospice or heart, diabetes and Parkinson’s charities. He was a good neighbor, always willing to help anyone. RIP Fergie. Beckie Allwood Boyle.